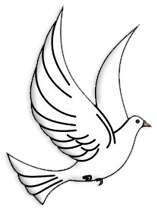 Leola N. Burkhardt, 82 of rural Palmer, died Thursday, March 21, 2019 at the Hospice House in Omaha, NE. Funeral Services will be 2:00 P.M. Wednesday, March 27, 2019 at Jacobsen-Greenway-Dietz Funeral Home in St. Paul. Interment will be in the Rose Hill Cemetery in Palmer. Pastor Dan Bear and Pastor Don Lovell will be officiating. Visitation will be from 5-8 P.M. on Tuesday at Jacobsen-Greenway-Dietz Funeral Home in St. Paul. Memorials are suggested to the family to be designated at a later date. Leola was the youngest child of 7, born on November 30, 1936 on the family farm in Nance County, NE to Herbert and Sadie (Lewis) Miller. 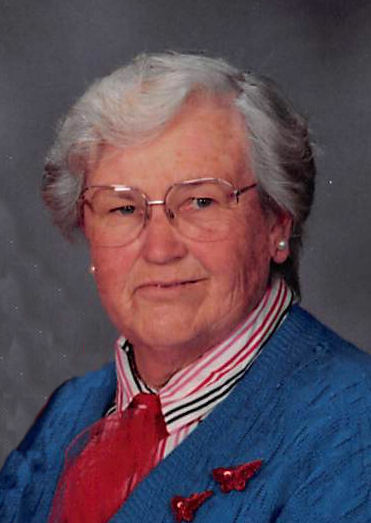 She attended country school in Nance County and graduated from Fullerton High School in 1954. Leola taught in country schools until she was united in marriage to Jerry Burkhardt on December 15, 1956 in Fullerton, NE. They made their home on the family farm northwest of Palmer. Jerry passed away on March 4, 2011. She enjoyed knitting, chrocheting, sewing, baking, gardening, and canning. She also enjoyed watching the cardinals out of her kitchen window and taking care of her grandkids. As a very devoted Christian, she was a member of North Star and Sunny Hill Churches until their closing. She was currently active at Grace Baptist Church in St. Paul. Leola was survived by her daughters and sons-in-law, Elaine and Rick Safarik of Farwell, Vicki and Jeff Fellers of Palmer, Judy Bennett of Palmer, Diane and Rick Peregoy of St. Paul; sons and daughters-in-law, Don Burkhardt of Palmer, Dean and Erica Burkhardt of St. Paul, Derry and Crystal Burkhardt of Palmer; 23 grandchildren, 25 great-grandchildren and 2 on the way; sister-in-law, Darlene Miller; several nieces, nephews, relatives, and friends. She was preceded in death by her husband, Jerry; infant daughter, Jolene; parents, Herbert & Sadie (Lewis) Miller; grandparents, John and Anna (Taddiken) Lewis, Charles Herbert, and Nina (Butler) Miller; son-in-law, Keith Bennett; sisters and brothers-in-law, Elsie and Ruben Arnold, Mae and Andy Rasmussen, Mary and Jim Parsons; brothers and sister-in-law, Everette Miller, Elmer and Elsie Miller, and Delbert Miller.